Our 100,000 sq ft facility in Alsip, Illinois has been designed to produce a full spectrum of die casting solutions. With 14 die cast machines that range from 400 tons to 1,600 tons, we can make castings from one ounce to 25 pounds. 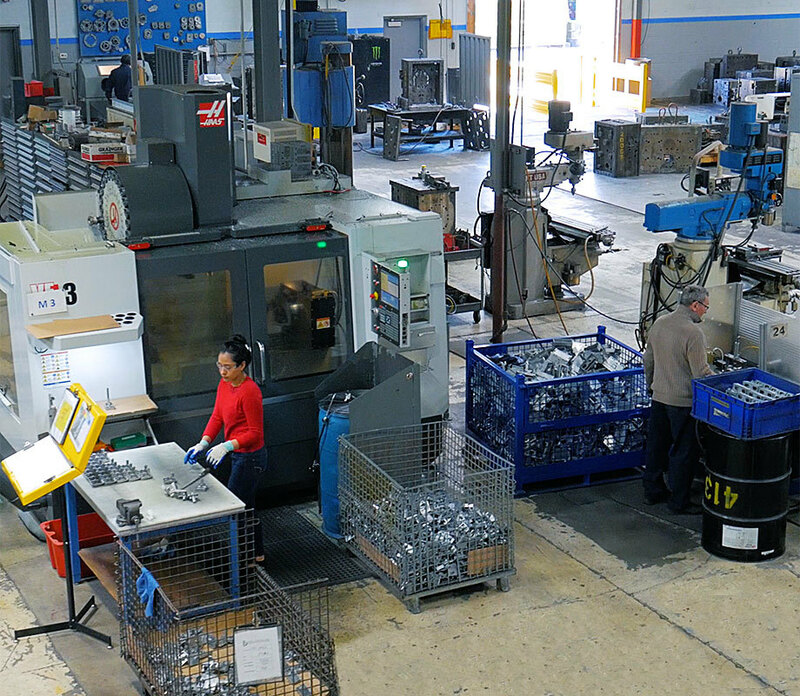 Along with our aluminum die casting machines, our facility includes CNC machines, trim presses, tool storage, finishing facility, quality control room, and office space for our project managers. 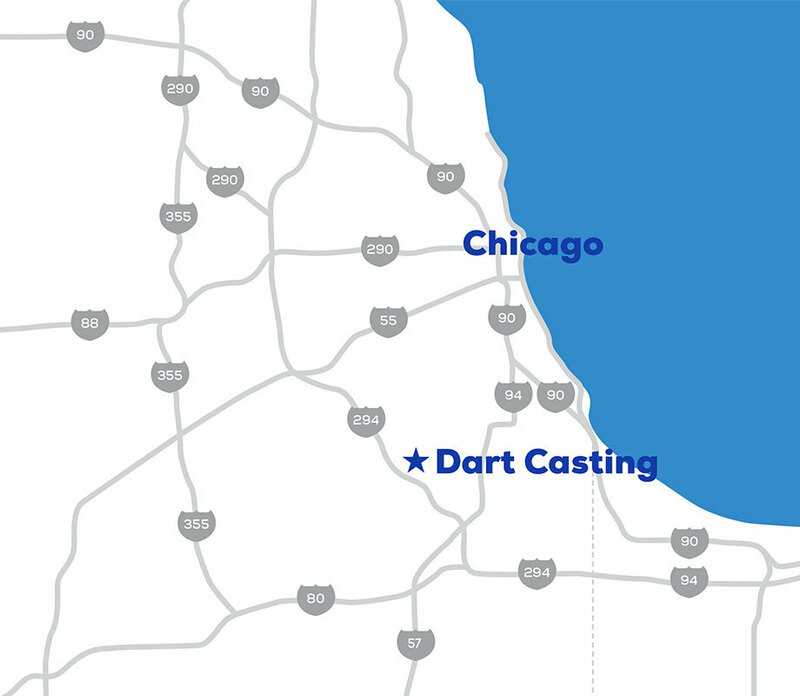 Dart Casting is located in a suburb south of Chicago. Our midwest location allows easy delivery to manufacturers across the country. 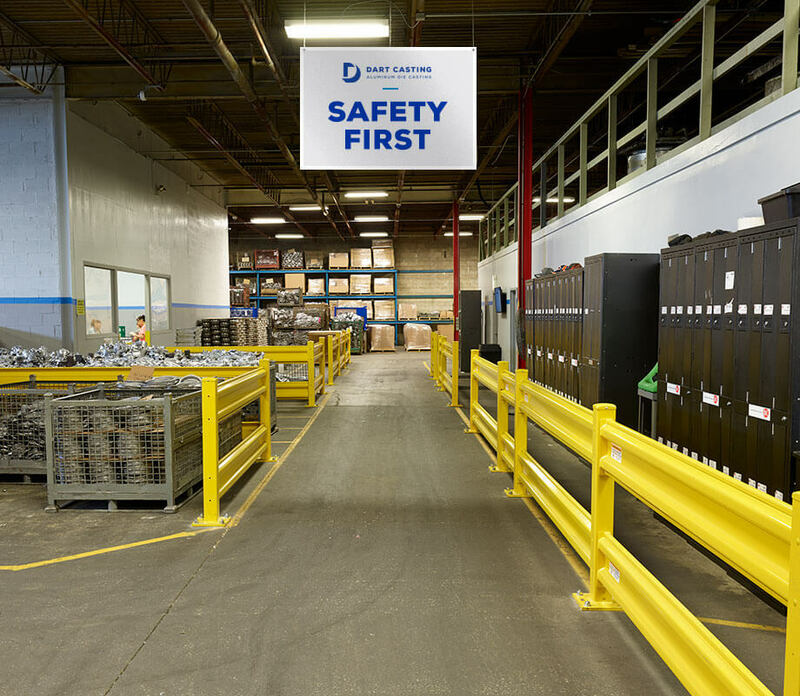 We are dedicated to providing a clean and safe environment for our employees. Our recent expansion has provided dedicated fabrication space and offers room for future growth.